Term, critical illnesses, disability, and personal accident. The only one that I've keep is the remaining whole-life policy that may "break-even" in 2 years' time at the 20 year anniversary mark. This is not a rash decision. Insurance is great to create an immediate networth when I was age 27. OK, whole-life insurance is another animal. It's more a play on your inflation expectations (why would you buy insurance if you no faith on your government with the printing press?) and more a savings plan for conservative (or clueless) savers. Now why no one told me at age 27 that I need to have some ideas on inflation expectations, yield comparisons from alternative investments, and some forward currency views!? The good news is that after 18 years of hard work and pure dumb luck, my net-worth today is now more than the "created" instant net-worth from my insurance policies. So the policies have served their purpose and are now "obsolete". I have no desire to "profit" from my lost. But more importantly, I am at peace with myself. I know my own medical and family's history. And in the event that I'm diagnose with a serious medical condition, I know what I would do. If it's terminal, I'll focus on palliative care than expensive "Hail Mary" medical procedures. It's interesting what doctors and nurses would choose themselves knowing what they know. If it's wear and tear replacements, with medishield and medisave, I should be able to afford them. Class B2 is OK with me. That the benefit of being a care-giver now. I've base my observations and decisions on personal experience rather than hearsay. I exercise (I'm a walker - no, not that kind of street walker! I walk 1.5 hours average per day), and go for my annual medical health screenings (early detection increases my odds of recovery). My vice is I eat "unhealthy". Baby steps. I've never understood why millionaires have life insurance policies. Once upon a time when there was estate duty I understand. But putting my salesman hat on, the answer is crystal clear. Cheers to all the million-dollar-round table members! Bottom-up investors can skip this post. You wouldn't be interested. This post is more for macro top-down (that's how I check girls out too!) speculators like me. The below chart is interesting! Iron ore? It's one of the key ingredient for steel making in case you never studied Chemistry or Physical Science. But unlike copper or crude oil (other more commonly used economic activity indicators), there's no paper futures market for speculators (leveraged hedge funds, investment bank's trading desks, etc) to "manipulate" the prices. I don't know about you, but I am one confused speculator! 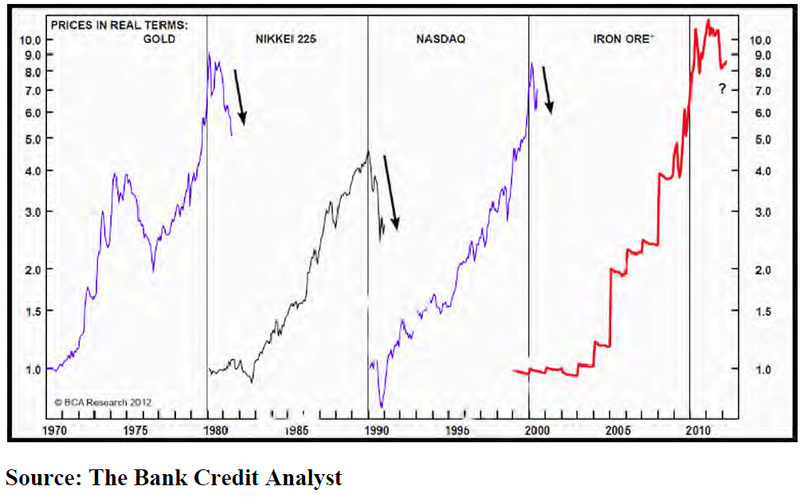 That's why I love this chart that I've found!!! Now my mind is clear despite all the "manipulations" by Central Banks. Remember when you first started to learn Technical analysis? It looks so simple right? This line cross that line; a bounce off (imaginary) support; a breakout through resistance (yes, it's imaginary again); and we are off to the races! But once we commit real money, eh!? Why are we still losing money? The answer lies in Singlish! Can leh Yes. Of course. Can lor Yes. I think so. Can hah? Are you sure? Can meh? Are you certain? Can liao la OK, enough. Can or not? Tell me the answer quick! Can your head! Not possible you idiot! Sure can? Are you sure? We think we knew Technical analysis after reading a few books or attending a few courses. Like Singlish, we have to immerse ourselves into the culture before we see see the context and see the shades of grey. 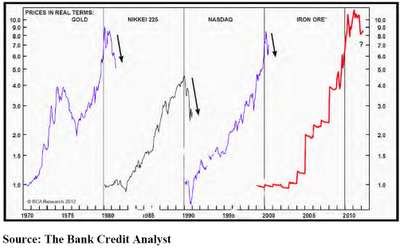 To a newbie, all we see is the word "can" in our charts (black and white). But to a battle-hardened Technical trader, it's Singlish (shades of grey)! 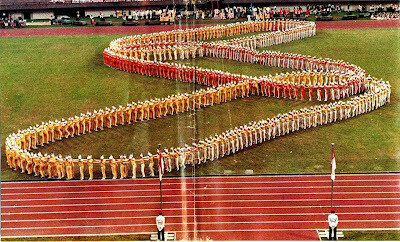 It was the same National Day parade but in 1982. I was one of the participants from Gan Eng Seng School performing in the Mass Display! I think we were popular because we were the early pioneers in Singapore Mass Display to use 2 colours on our uniforms. So when we turn, we created a colour changing effect together with changing pattern formations. I was especially proud to be the rocket tip in one of the formations. But during one of the rehearsals, I went to the “wrong” marker, and it’s not so funny to have a “bent” rocket… LOL! 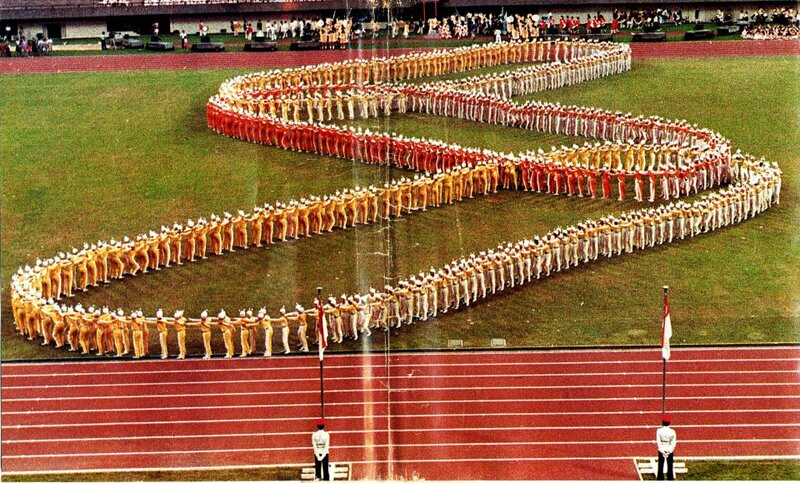 Due to our popularity, we were asked to perform next year for the 1983 SEA games. A fellow blogger and I were exchanging comments on collecting stuffs versus experiential moments recently. When you look back at your blessings this 2012 National Day, do you count the blessings of the physical things you’ve owned (car, house, luxury watches, etc); or do you look back and smile at the memories of what you have done during your yesteryear's? Hey! Whichever makes you happy! Last month, I sold a Growth and Income REIT that I've bought 1.5 years ago. It's was yielding 9% at price of purchase;and has since gone up by 40% in capital gains when I sold it. Hey! I've told you I'm an equities man-whore didn't I? The real reason is that I find this S-chip offers a better risk-reward margin of safety for me than the REIT that I've bought at "wholesale prices. And when others are willing to pay "full retail price" from me, I sell! Funny... I never even call myself a value investor?